Wedding season is upon us and if you are one of the many brides who got engaged over the December holidays, you are (hopefully) looking for your wedding gown. If you are like most brides, you will need some kind of alteration to the gown. Like all clothing, dresses come in basic sizes and then must be tailored to fit an individual body. Almost every gown needs at least a bustle; most need to be hemmed. Maybe you need the waist nipped in a bit or the darts adjusted. 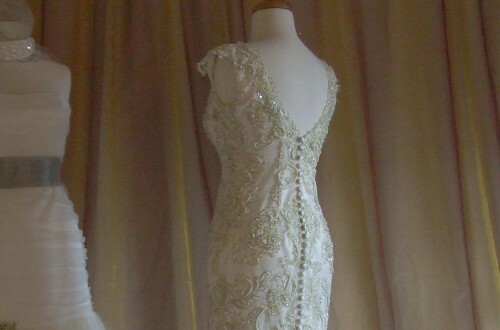 All of these are pretty standard alterations and add to the cost of the gown. 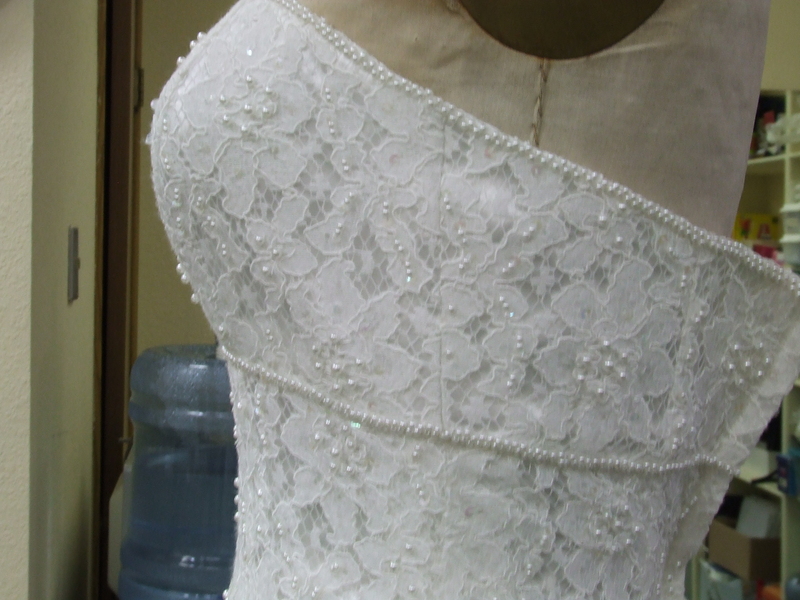 If your dress has beadwork, that adds even more to the cost of the alterations. 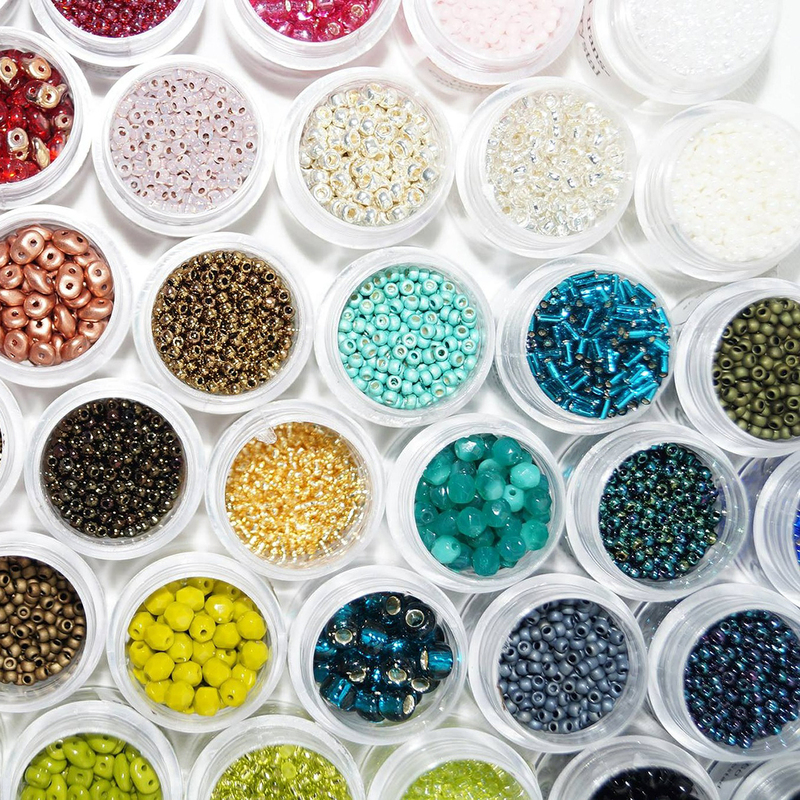 That’s because the beading has to be removed, either by breaking the beads or tying them off, before the seam can be sewn. On the dress shown, I had to remove the beads from around the seams and tie them off so that I could reuse the beads. Yes, the dress came with the little package of extra beads but there are never enough to complete an alteration. If you are lucky enough to receive extra beads with the gowns ~ they don’t all come with them ~ there are just enough to do minor repairs. After the new seams are sewn, I like to check the fit on the bride before replacing the beadwork. 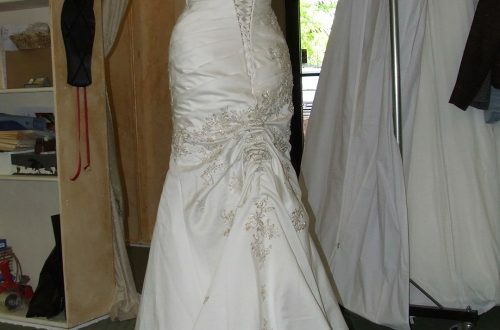 I don’t want to have to re-do the alteration if the bride wants it “just a little tighter”. Once the fit is approved by the bride, I replace the beads. The beads are all sewn on by hand, trying to copy the exact design. This dress’ beads were a pretty easy pattern to copy. Some can get pretty complicated and require more time to sew. Here is the completed gown. I sewed the beads on by hand, copying the exact pattern of the beadwork. If you are a bride who likes “bling” on the dress, make sure your budget will allow for the cost of the dress and the alterations. 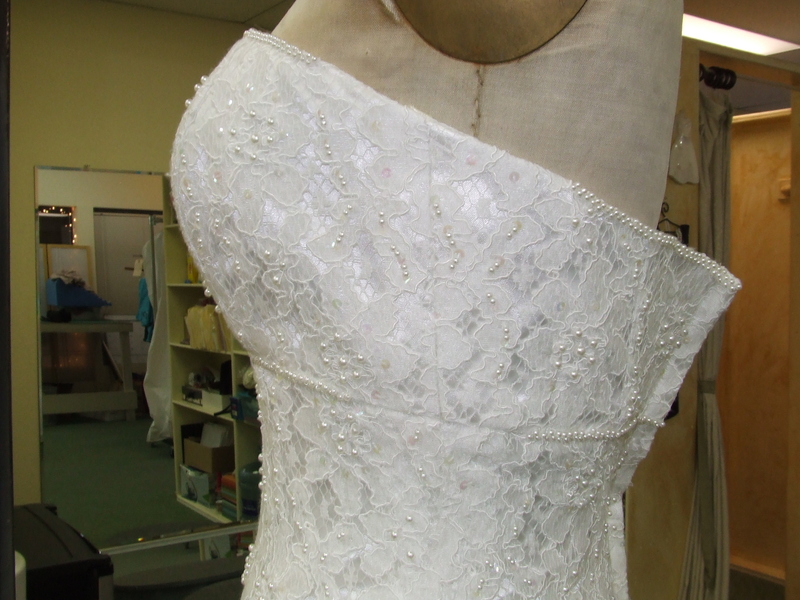 Barbara Stone Designs has been a full service Alterations and Custom Clothing business since 1981. 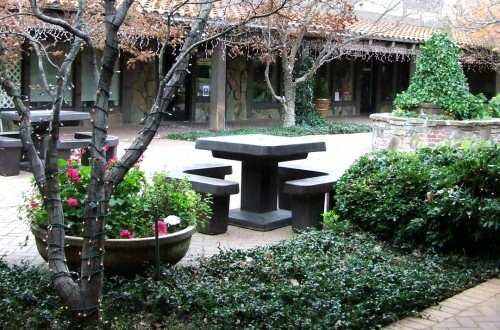 Barbara started her training at UC Santa Barbara, where she majored in Art. Wanting to work with her hands, she then earned her Dressmaking and Alterations Certificate at Shasta College in Redding, CA. After that she honed her craft by taking workshops and classes all over the United States, studying with teachers from all over the world. Some of the classes included advanced tailoring, pattern making, image consulting, design and color, moulage, proper fit, and many classes on specific construction techniques such as lace applique, working with sheers and satins, interfacings, and dye techniques. Barbara continues to advance her skills. Her most recent workshop was on teaching an on-line class which she hopes to offer very soon.